The post match ceremony of the 3rd India-Australia test which was scheduled for the evening of the last day of the Test was advanced and took place in the afternoon of the third day’s play. This was due to the sudden and sad demise of Indian cricket due to old age and certain other factors which have come up in the post mortem report. Even though this was an expected event, things took a sudden turn and impact of the fall from grace was colossal that everything around collapsed and was buried in the blink of an eye in a hot summer afternoon in Perth. The rot that set in at Edgbaston from which time Indian cricket has been living on the edge was finally set to rest in Perth. 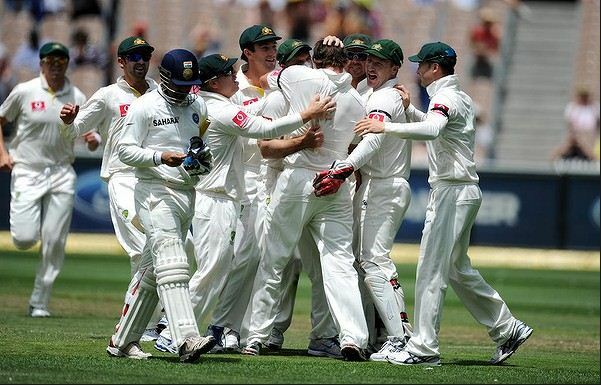 Skinned alive and left half dead, Indian cricket was bludgeoned and put to death at the WACA. Buried under 22 yards of soil 6 feet down under heaped with shame and disgrace. A black day for Indian cricket. The chief architect of the collapse and who remained stone cold throughout the turn of events, Dhoni, looked like a man giving a funeral speech at the post match ceremony, even though he did not go on to give a speech per se. He wished that the team had more time to adapt to the harsh conditions of pace and bounce in the fast Australian pitches. Wonder what the team was doing when it reached Australia to get used to these conditions well in advance? This team of veterans who had built their legendary reputation in Australia and against Australia was still trying to find their feet in the third test. Will they be able to adjust to the conditions if they play a dozen Tests more in the continent? Then BCCI should think of extending the series and in future should keep sufficient number of Tests in the series. This is necessary for getting beaten black and blue in the first few, learning in the next few and giving it back in the last few, that is if they survive to do it. Clarke, the full grown pup that has matured into a leader and revived his team by leading the fight back from the front, in his speech made it clear what his team’s priorities are. To be the team to beat. To become number one in all three formats. With priorities clearly defined, the Australian cricket board and the team know their direction. And going by their history, they will pick up the right men to execute their plans. BCCI on the other hand is planning for the next IPL. So it is very obvious on the priorities of both the boards. When Clarke says they want to become no.1, he and Cricket Australia means business. BCCI also means business. Only that their businesses are different. It was a shameless and spineless display by the Indian batsmen again barring the determined Kohli this time. The Test was supposed to last 5 days but the Indian batting could not last 5 sessions. The responses and reflexes of the once great batting legends who are in their twilight years seem to have slowed down. The grit and determination to fight it out when they had their backs to the wall has disappeared. Their fighting capabilities would have put lions to shame. Now they are a shame to the nation. The legendary wars that they fought, the lonely battles they waged are all folklore. They scripted legends in time and now its time they write their own epitaphs. The Indian batsmen made the same mistakes again and again. Their attitude seemed to be casual and careless and was evident in the captain’s batting. The Australians have done their homework well. They planned well and executed clinically. They have found that there is a hole in the wall and they have made it to look bigger. They have created records for Dravid to be the player who was bowled out the most number of times and Sachin the player who was out LBW the most number of times. Their nemesis Laxman has lost his magical touch. Sehwag failed to trouble them. Gauti and Dhoni always made sure that they self-destructed. The tailenders have brought back their old habits of batting is not my responsibility. The lack of application in a team is well evident from the way the tailenders bat. The spirit to fight and the determination to overcome is clearly absent in this team. And the Australians made the most of the mistakes of the Indian batsmen. The pace brigade of Starc, Hilfenhaus, Siddle and Harris bowled consistently and was ruthless till they saw the back of the last batsman and made sure that the burial was complete. If this was war, then the Indian team has no comeback. Luckily this is a game. The one man from Australia who simply blew away the game in a session is the pocket dynamite, David Warner who is known as the bull amongst his mates. And boy, what a charge he has made. This charging bull simply ran away with the honors before the amazing Umesh struck at will. The two balls that went through the gates of Ponting and Cowan, a right hander and a left hander, are more than enough to see the quality of his bowling. And Virat Kohli’s performance with the bat has shown the talented fighter in him. These two are definitely part of the future. Other than these positives that India can take away from the match, this Test is better forgotten. It is time for the most experienced batting greats of India to exit before it is too late. They have to go. The earlier, the better for Indian cricket. Greats become true legends when they exit gracefully and gloriously. If they hang on till they fall from grace and are no longer needed, they become a laughing stock. The legends should be treated with respect. So it is high time the they think about a decent exit. Maybe it is time for the selectors to think differently. Or the selectors themselves should go if they are not brave enough to think beyond the veterans. 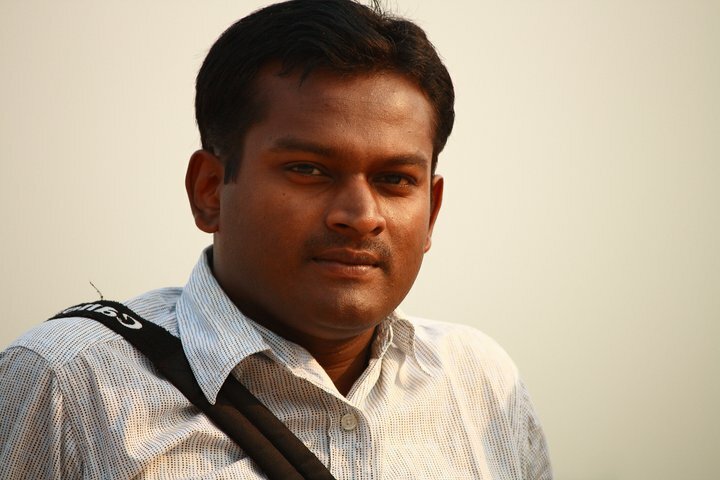 The greats might play well and hit a couple of centuries more in the flat Indian pitches or in favourable conditions. In that way they still have a future. But if we are going to persist with them, Indian cricket’s future is bleak. We need to think about the unfriendly pitches in England, Australia, South Africa and New Zealand and the future tours to be played here. Pick up young players who can and send them to survive these harsh conditions. Baptize them with fire. Put them to the lions. Let the fittest survive and we will get a team to beat. The resurrection of Indian cricket lies in the tough decisions that will be taken after the Australian series or may be even before. It is remarkable how the Australian openers resemble Aakash Chopra and Virender Sehwag from 2003-04. Both pairs made of a dasher and a blunter each. Running between the wickets being the stand out feature. And both middle orders benefited. Australia lost 10 wickets for 155 runs today, but the double century opening stand is essentially the difference in runs between the two sides’ first innings totals. Talks of Cowan being a short-term solution at the top now needs to be revisited. Like in Melbourne, he left well and played to his strengths. His batting is constructed on good temperament and judgement, not too dissimilar to the construction of his prose. He complements Warner well and they seem to be a good pair at the top with their contrasting methods. It will be silly of the selectors to replace Cowan with Watson when the all-rounder is cricket fit. While the number at which he should bat should he move out of the opening slot has been a never ending debate, he might fit in at three should he have to sacrifice his bowling in order to prolong his playing days. Marsh has been flashy, but looks most likely to drop of out favour when Watson returns. While it does not automatically guarantees success for the pair in England in the Ashes, they seem to have the tools to succeed and deserve to be given a long rope. While the batting options might be in slight for the selectors, their fast bowling stocks seem to be ripe. While Harris has a remarkable record in the few Tests he has played, it is the emergence of Starc with his pace, movement and bounce that caught the eye on Saturday. Blessed with natural bounce, he seems to be destined to join Pattinson and Cummins and lead Australia’s attack for many years to come. And, given his composure and ability with the bat, Australia’s lower-order has the needed extra padding given the sporadic form of its middle-order. In contrast, the Indian openers can’t seem to get off the blocks at all through this series. Nor has the middle-order looked capable. Australia’s bowling has been good and has created collective pressure. Patience and the game of attrition which defined this batting for a decade have deserted them for over a year now. Five years ago, this side would scrap, fight and find a way past the initial trouble and eventually break the bowlers’ spirits by batting well for long. Keeping good sides out on the field for five sessions and more is how India broke good Australian sides of the past, now seem hard pressed to bat for half hour without losing a wicket. It has been remarkable how mentally unclear the likes of Sehwag, Gambhir and Laxman have been this series. All tough and proud individuals, but they seem to be battling more than just the opposition. Sehwag has been patchy and unconvincing throughout the series while Gambhir and Laxman have been busy nicking to the various slips. On good days, they leave well outside the off-stump, but not this series. It is regrettable that after a day of good fightback by the Indian bowlers, that only the follies of the Indian batting are being debated. After a poor showing at the SCG, the bowlers have bounced back well. Umesh Yadav rediscovered his MCG rhythm and ran through the top-order after the marathon opening stand to bring India back into a contest that seemed to be headed the SCG way. 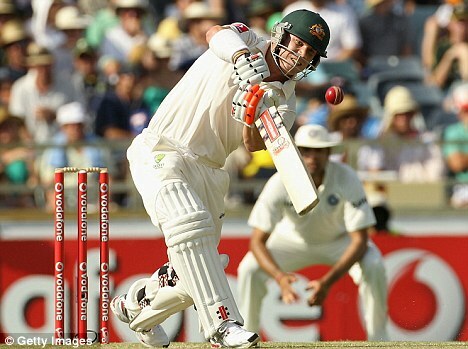 Australia struggled to cope with Zaheer’s mastery and Umesh’s pace. After a poor first day, Ishant and Vinay came back well to chip in with wickets. Virat Kohli’s composure at the crease has been the high point of India’s insofar dismal batting display this Test. A big innings for him here will give him the confidence to blossom into a good Test batsman that he is capable of becoming. While day three of this Test in all probability will be the last day of this Test, India will hope that it will also be a day where Kohli takes his first strides in to hopefully a long Test career as India looks to the future without the comfort of the big names in its batting order. When this Test is done and dusted, it is time India looked to the future. 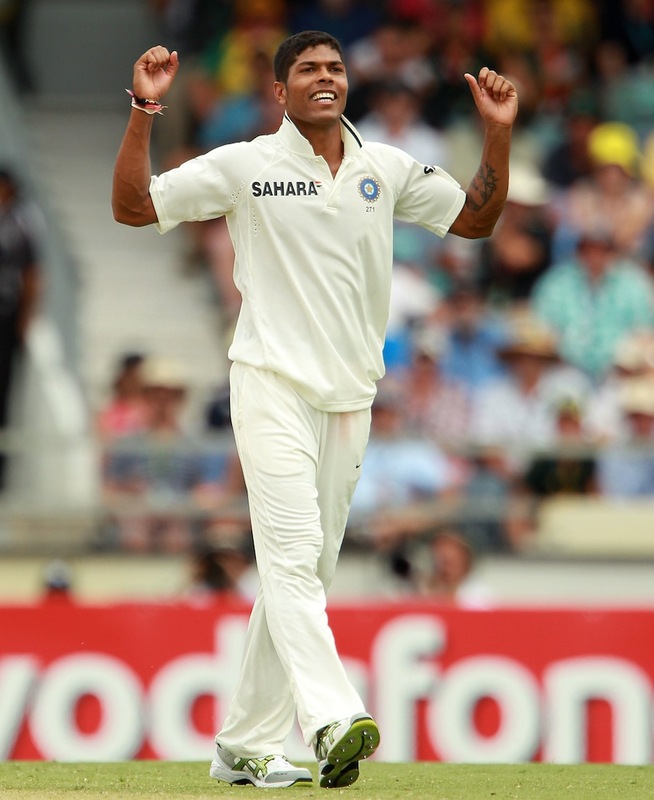 As Kohli and Umesh have shown, they are neither short on talent or ability. David Warner is only five Tests old. In this short span, he has hit a century and another. The second one against India at WACA is the fastest ever to be hit by an opener. And it was completed in a session at the WACA. To hit a century in a session is no mean feat. Something that the greats dream of. The stuff that legends are made of. And it is a rare feat. Warner has announced his arrival in Tests and his stature is growing. Till a few months ago, he was a Twenty20 hitter, an entertainer who was nowhere in the Test scene. He went around the world playing in T20 leauges entertaining the crowd. The selectors did not have him in the scheme of things. Neither did he have Test cricket in mind. In his own words, he never believed that he could play Test cricket. All that changed when he was contracted to play in the IPL for the Delhi team which was led by the dashing Virender Sehwag. When Sehwag was a hit in the ODIs, he was also not considered for Tests as the purists felt that his style of play is unsuited for the longer version. But once he was given a chance, he revolutionized and brought entertainment to test cricket batting. Records were rewritten and batting never remained the same again in Tests. It was Viru who instilled in Warner the belief that he would do well in test cricket. Inspired by Sehwag’s words and work, he finally landed up in the Test arena. And the rest as they say is history. Both the hitting machines shared one thing in common. They both believed in only one thing. The ball is there to be hit and hit hard. The pitch is not a concern, the situation is not a bother and the bowler does not matter. The only thing that mattered was where the ball lands for the fielding team to pick up. They have only one cricket gear, the top gear. So they did not have the confusion of switching it as the situation changed. They go all out from the word go. They try to hit the first ball of the match out of the park. Brought up their centuries with sixes. Lived and died by the sword. And on their day, decimated the opposition in such a way that the destruction was complete and total. They are the weapons of mass destruction in cricket. The similarities do not end. Records fall by the wayside when batting for them is a walk in the park. Sometimes it looks like they are out practicing boundary hitting out in the middle a match. Though Warner’s debut in Test cricket has coincided with a big slump in form for Viru, for Warner, it is just the beginning. He is an improved version of Viru – faster scoring, farther hitting and better footwork are the improved features in the new version. India’s batting machine reengineered and invented at IPL and launched in Australia with a ‘Made in Australia’ tag. Australians have found a Viru for themselves. A new brand of Test cricket batting belonging to the Viru breed has been launched. The weapon gifted by India is being used against its inventor. The doubts about the improvement in consistency and longevity can be proved only with time. Such power hitting which can influence the results of 5 day long Tests in a single session is going to be a threat for the Test playing nations and a treat for the fans. These power hitters are definitely going to entertain. India will have to think hard and come out with a better version of Viru to counter the Warner threat. A reloaded version of Viru who can last longer and more often. Or we need to find a newer version. Let’s leave that task to Viru himself. In the midst of Test Cricketing doldrums, the Indians have been beset by yet another storm that has washed away its final chance of salvaging some pride this series. Yet again, the Indians find themselves in a position on Day One where the result seems inevitably favoring the opposition. 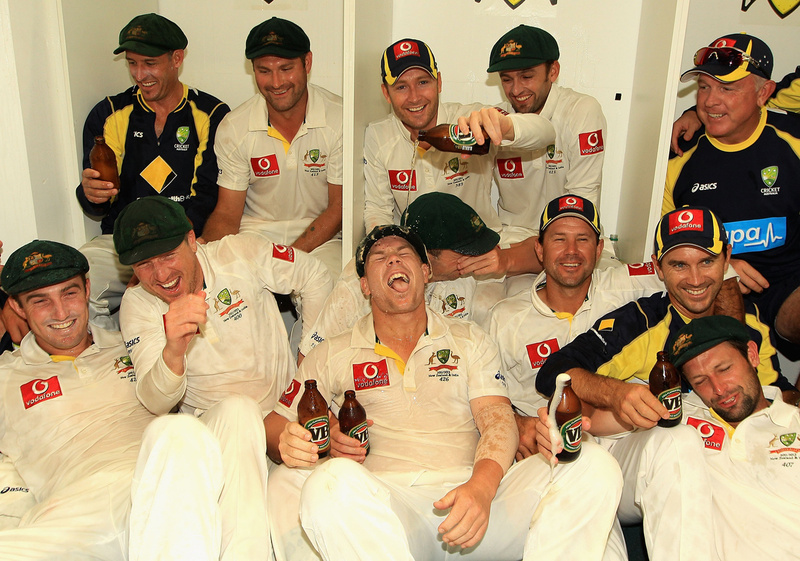 True enough, the mystery behind a slump in form – spanning seven tests – remains. India’s batting collapses have been well documented since the commencement of the England tour last summer. And (un)fortunately, there’s nothing new that a writer can add to throw more light to this crisis. It is easy to gain the impression that nothing is happening behind the scenes, and in truth, it appears as though not much was. A titanic squad on paper has been relegated to the backbenches of cricketing credibility. Lack of faith in the current team to reverse the premonitions seem evident, and entirely rational: another short-term spark is needed to ignite the fused morale, as is a long term veteran replacement plan to throw some hope in to the future, but both seem beyond any imaginable degree of capability now. These impulses are largely altruistic – precisely the reason why a change, even though rightfully claimable, has escaped the thoughts of selectors forever. Individual interests seem to have taken precedence over larger interests. Amidst a fierce recession in Indian standards, David Warner stepped into the WACA, with a mere four caps against his name, to rewrite record books. The intensity of his innings remains an awe-inspiring memory, given how the Indian batting had made the spectators, initially, believe that there was something in the wickets for the bowlers to exploit. Record books will indicate that four out of the seven fastest test centuries have been made at this venue – highlighting the fact that if you can play pace and bounce well, you’re likely to succeed at the WACA. The cynical Indian will point his fingers at Sehwag for having planted the thought of Test Cricket in Warner’s mind during the inaugural edition of the IPL. Warner reminded us of a young Viru who took pleasure in decimating bowling attacks, and it is no wonder incidental that the closest shave Warner had was an LBW appeal from a Sehwag offie. Cowan, at the other end, remained solid and firm to remind fans of the successful, if brief, partnership that Sehwag and Chopra had formed during India’s tour down under back in 2003/04. Warner delightfully gathered runs at levels and rates at which Iran perceivably enriches Uranium. And it doesn’t look as though either is likely to stop anytime soon. Warner’s willow seemed to possess the venom that the Indian pacers lacked. At times, it would have appeared cruel to be judgmental on the Indian bowlers given how Warner dismissed even good deliveries to the fence. His assault crippled Indians hopes of revival and there seem to be no evidence that Day Two would promise change in fortunes, given how implicitly the bowling has qualified cluelessness. Warner, thus far, has looked as rigorous in dismissing bowling attacks as the Indians have struggled to cope with it. The Indian batting, to begin with, painted a diametrically opposite picture with batsmen clearly looking lost in a wicket that didn’t even closely resemble the nature as described during the buildup. Hilfenhaus continued from where he left off at Sydney, and Starc, who’d come in place of Lyon, silenced any doubters over the four-man pace attack by grabbing two wickets. Although, in hindsight, it would’ve appeared as though playing a spinner wouldn’t have been all that bad an idea. The only resistance offered by the opposition was via Kohli and Laxman who, briefly, looked as though they were doing a decent job rebuilding the innings. The Aussie pacers had other ideas. As did Warner, subsequently. With one record firmly under his belt, it wouldn’t be all that unrealistic to imagine the possibility of him breaking more as the Test progresses. Unfortunately for the Indians, the harsh reality of a Formula One Race lasting longer than a solid innings would give their go-karting skills little to brag over.